A bereaved father. A quickening madness. Whenever he's alone, Ian sees his murdered son. Are these aching visions real? Has the boy found a way back, to pass on some vital clue to his father? Or has Ian's sorrow bloomed into psychosis? As the visions intensify, assaulting him in every corner of his life, the pressure mounts. Driven to his breaking point, Ian's final choices may avenge his son - or snap his final ties to reality. Kindle readers have launched Alex to the Kindle Suspense and Horror bestseller lists half a dozen times, from July of 2012 to December of 2016. If you're looking for a novel that seizes you on the first page and drags you relentlessly to the finish, you'll be glad you joined them. Read Alex tonight. Log In to track Adam J Nicolai on eReaderIQ. 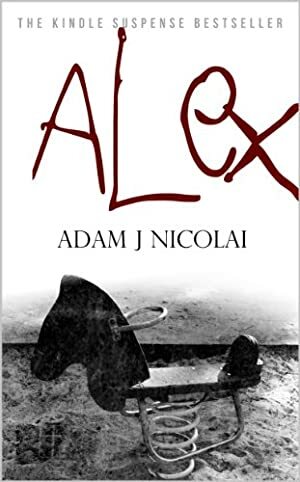 to be notified each time the price drops on any book by Adam J Nicolai. to stop tracking Adam J Nicolai. We started tracking this book on July 8, 2012. The price of this book has changed 47 times in the past 2,482 days. The current price of this book is £3.05 last checked 7 hours ago. This lowest price this book has been offered at in the past six months is £2.69. The lowest price to date was FREE last reached on May 9, 2014. The highest price to date was £7.99 last reached on February 19, 2019. We last verified the price of this book about 7 hours ago. At that time, the price was £3.05. This price is subject to change. The price displayed on the Amazon.co.uk website at the time of purchase is the price you will pay for this book. Please confirm the price before making any purchases.